Nothing can take the place of a healthy set of teeth, but when disease or an accident ends in tooth loss, it’s good to know that there are options for restoring your smile. If you are self-conscious because you have missing teeth or you wear dentures there is an alternative: dental Implants. Implants have been around for more than a quarter century and more patients are choosing them as a replacement option. Last year alone more than 1.5 million implants were placed in the United States. Patients choose implants to replace a single tooth, several teeth, or to support a full set of dentures. Implants are cylinders that are surgically placed in the upper or lower jaw where they functions as a sturdy anchor for replacement teeth. They are made of titanium and other materials that are compatible with the human body. If you are in good general health, with healthy gums and jawbone that can support an Implant, this procedure may be an ideal option. In fact your health is more of a factor than your age. The single tooth implant replaces the missing tooth’s roots. It is a freestanding unit and does not involve treatment to the adjacent teeth. If the surrounding teeth are healthy, they can remain untouched and their strength and integrity may be maintained. The implant can stabilize your bite and help prevent problems with the jaw. Dental implants may be used to support a bridge when several teeth are missing. The bridge replaces the lost natural teeth and some of the tooth roots. An implant-supported bridge does not require support from adjacent teeth, and hence minimizes any invasive procedures as a result. If you are missing all of your teeth, implant-supported dentures can replace the missing teeth and some of the tooth roots. Because the dental implant can integrate with the jawbone, an implant-supported denture tends to be comfortable and very stable, allowing you to bite and chew naturally. Implant supported Dentures give back the stability and retention that patients lack when they have conventional dentures. An Implant supported Denture is an ideal treatment for patients that have lost all or some of their teeth and are ready to say goodbye to ill and uncomfortable fitting dentures. Like regular dental implants, mini implants are made of metal alloys that are well tolerated by the body. Mini implants are more slender than those of regular dental implants and typically are used to stabilize a removable dentures or temporary tooth replacement. The base of the denture rests gently on the slender implants and on the gums. 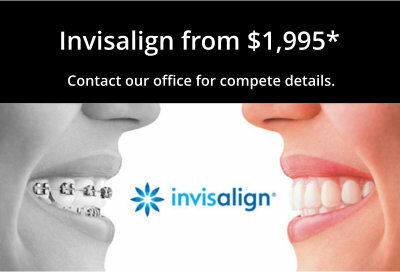 Mini dental implants cost significantly less than regular implants. Because mini implants are small, they may be suitable for patients without enough jaw bone density to support conventional implants. In some cases, mini Implants may be used to support a porcelain crown or a fixed bridge. Mini-Dental implants are an excellent way to support dentures and give back excellent retention and function for patient that suffer from poor ill fitting dentures that move and are uncomfortable. Mini-Dental implants also offer immediate restoration without having to wait for integration to the bone. Unlike the older conventional techniques of having to perform more invasive surgical process to place a Dental Implant, with the use of Digital imaging like the CT scans we can now use state of the art technology to pre plan the placement of the Implant. This new technique called CT guided placement offers many advantage to a more successful Dental Implant. With the use of a CT image over the proposed area of implant placement we can now see many anatomical details like the nerve, sinus, etc and determine the ideal location of the implant even before we do anything to the patient. This technique allows us to pre-plan the placement of the Dental Implant, making it much more predictable, less traumatic and much easier to place. Once the exact proper site and location has been determined then a surgical stint is fabricated by the dental laboratory. This surgical stint allows Dr. Z to place the implant exactly in the proposed area, efficiently and effectively, minimizing any risks and complications. One of the other advantages in using a surgical stint in placement of dental implants is that it is less invasive in that typically there is no need to surgically open any gum tissue, thereby allowing the procedure to be less traumatic and much more comfortable. The surgical stint also allows the procedure to be done much more timely and quickly as well. Typically patients receive a small dose of dental anesthesia for the implant site. Once the area is found to be comfortable then the surgical stint is placed on and the implant is placed in the desired site. 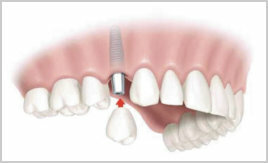 Once placed a healing screw is placed over the implant and it is allowed to integrate to the jaw for 3-6 months. 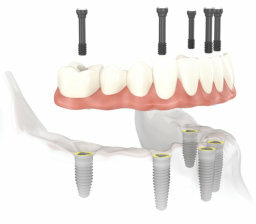 Once the implant is healed then it can be uncovered again by Dr. Z and the final restoration is placed over the implant. Mini implants have the advantage of not having to wait for any integration in the jaw bone. Unlike conventional dental implants, which often require a longer healing period and multiple visits, Mini-Implants are often placed in one visit that takes typically less time. Often patients receiving Mini-Implants leave the dental office with a solid restoration over the implant, a crown, bridge, or a Denture, whichever they may need. Like natural teeth, dental implants can be affected by wear and tear, stressful biting or grinding, osteoporosis, poor oral hygiene, tobacco use, and lack of follow-up dental examinations. It is important that regular examinations of the dental implants are performed to ensure a successful restoration. Replacing missing teeth can have a positive influence on the quality of life. That’s because smiling, chewing and talking are made easier with a full set of teeth. 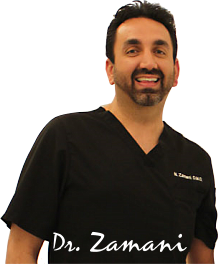 Consult with Dr. Z to learn more if you would be a good candidate for dental implants.